Earn $57.50 in Rewards credit (5750 points) What's This? 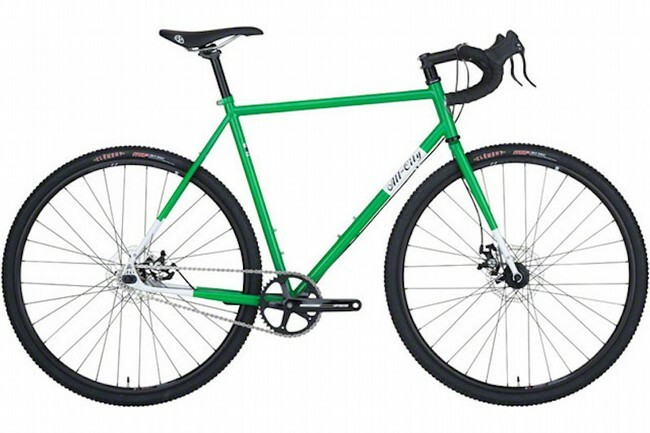 All City’s 2018 Nature Boy Disc Singlespeed Cyclocross Bike features a 612 Select CroMoly steel frame and fork as well as a proprietary disc dropout system that solves the conundrum of brake caliper positioning with dropouts of this style. This system features a tension screw that pulls the caliper mount into the correct position. Sizes 43, 46, and 49 are equipped with 650b wheels for improved handling and acceleration for smaller riders. 700c bikes fit a 38c tire with room; 650b bikes fit a 650X42c tire. Frame Material: 612 Select CroMoly steel. Double-butted down, top, seat tubes. Externally tapered, ovalized, dimpled chain stays, tapered seatstays. Fork: 4130 CroMoly tapered fork blades, lugged crown & matching dropout. Straight steerer tube. Headset: Cane Creek 5 Series. Bottom Bracket: 68 x 110mm steel cups, sealed bearings. Brakeset: Promax mechanical disc, 160mm rotors; Tektro RL340 brake levers. Handlebar: AL6061, 31.8mm, 80mm reach, 125mm drop. Stem: 3D forged, 4-bolt stem, 31.8mm. Seatpost: AL6061 w/alloy head, 27.2mm, 350mm length. Wheelset: WTB STP i19 TCS, 650b & 700c. 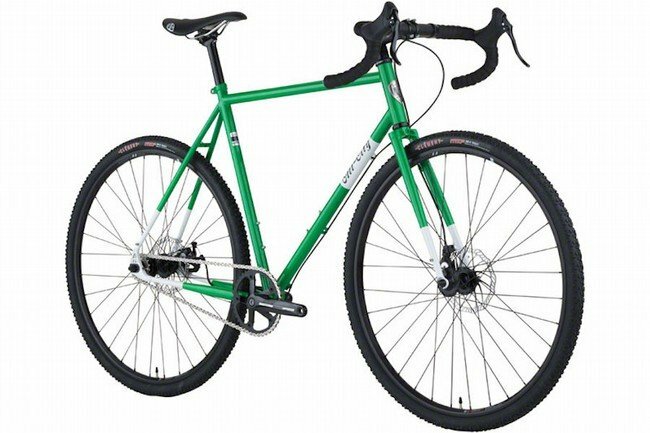 Rims: WTB STP i19 TCS, 650b & 700c. Hubs: Joytech QR/disc, 32h, 6-bolt disc mount. Manufacturer Warranty: Limited 3 year warranty against materials and workmanship defects.